The Agenda for the WPA Committee Meeting on Sunday, 15 July 2018 is now available. The Tournament Sub-committee have published a discussion paper on the WPA Tournament structure (28kB) for 2018-19. Feedback closes on 31 July, so if you support the status quo or would prefer a change, please send in your comments to one of the addresses in the paper. The video of the 2017 Oceania Championship Women’s Triples semi-final match at Christchurch between NZ A (Sharon Cannon, Christine Strichen and Claire Wilson) and NZ B (Marilyn Bunce, Annick Le Guen and Kathleen Wallace) is on the Wellington Pétanque YouTube channel. 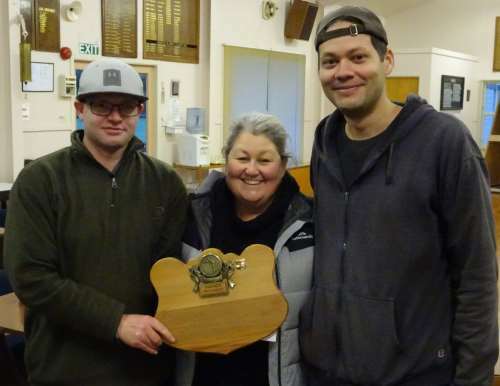 Otaki’s second defence of the Jacques Cochonnet Trophy was at home to Naenae. This time they started strongly, winning all three games in the first round. In the second round, Naenae won the Singles and Doubles to narrow the deficit to 2-4. In the final round, Otaki picked up the Doubles to win the match 5-4. Otaki’s next defence is at home to Manawatu. 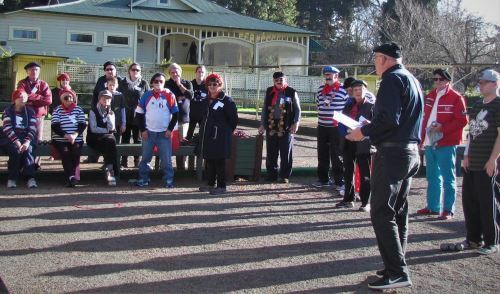 Masterton Pétanque club hosted its annual Bastille Day tournament on Saturday, 14 July. It attracted 34 players, 14 from Masterton and 20 from outside Masterton. Most players joined in with dressing up for the theme. Costumes included an executioner, Michelle of the resistance ( I will only say this once ), French onion sellers and a variety of French peasants. Five games were played and a great day was had by all. Best costume: Len Cogger (Upper Hutt) who came as an onion seller. With the start of the new season on 1 September, the links from the website have been updated. The Current season link will point to the 2018-19 calendar, Last season will point to the 2017-18 calendar, and Next season will point to the 2019-20 calendar. The 2016-17 calendar (previously Last season) has been archived. 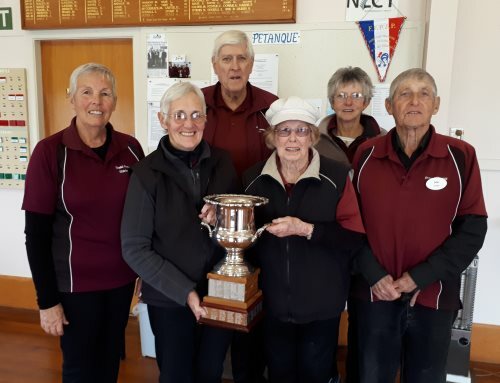 Sixteen teams took part in the second Premier Pétanque tournament at Otaki. Premier Pétanque is a format based on sets, rather than playing to 13 points. In the Trophy final, Moises Burgos/Vaughan Husband/Michelle Maxwell reversed the morning result to beat Grant Bray/Annick Le Guen/Brett Maguire 2-1.